YUM! The fresh ingredients pictured are all that goes into this delicious spread!! 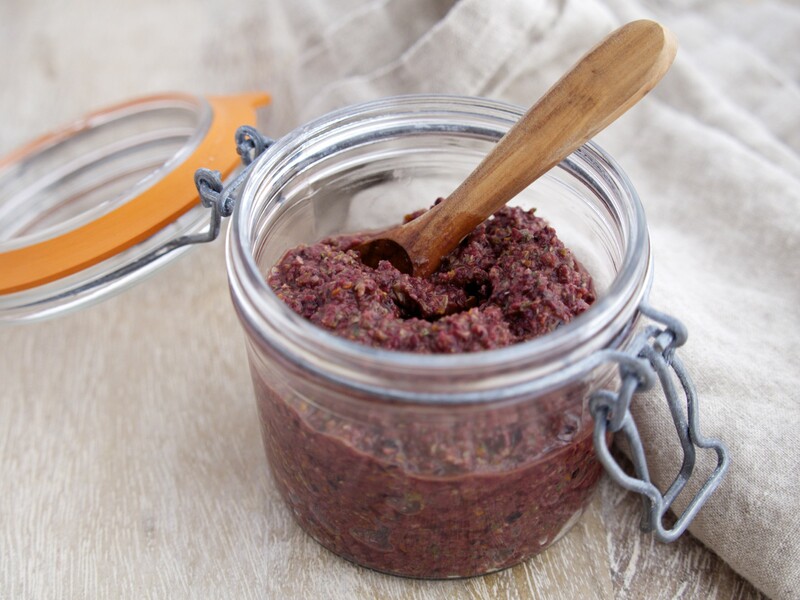 If you’re in need of something to jazz up your sandwiches lately or are on the prowl for flavorful but not heavy hors ‘devours over the long weekend, this easy tapenade will get the job done. This Fresh Tapenade is a fantastic anchor for a chicken, tuna or egg sandwich, or is perfect by itself on smaller slices. Enjoy!